It was a wish expressed at the Oslo Congress: time to meet, time to network and to present your actions. So, for the first time, ECPM is offering this exceptional evening in the prestigious Galerie des glaces of the Palais d'Egmont, around a cocktail and in the presence of those who bring abolition to life all over the world. Photocall, music but also artistic exhibitions will animate this unique evening. This artist was sentenced to death in Nigeria. 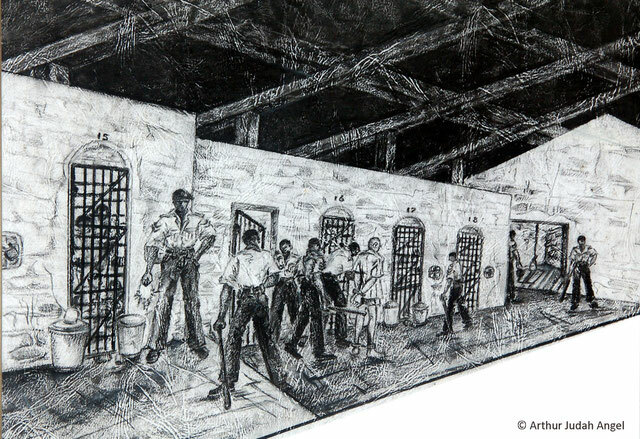 During his detention in appalling conditions, he began a series of drawings illustrating his experience. Realistic and poignant, his work allows us to imagine life behind bars on Nigerian death row, where no photographer can go. It is a rich and unpublished source on the daily lives of those sentenced to death. A former death row inmate in Tennessee, this American artist was able to benefit from a program during his detention that gave him access to painting equipment. 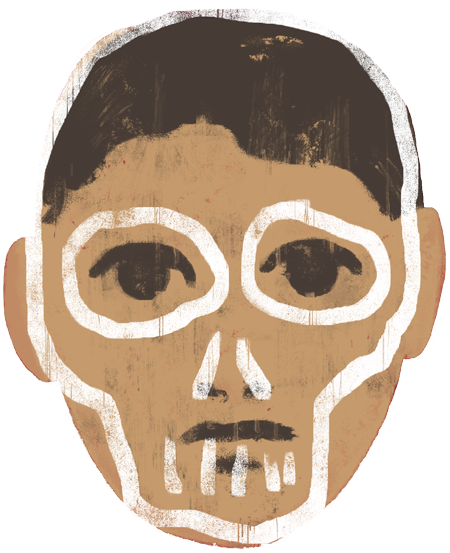 In a survival reflex, he then undertook to represent the outside world as he imagined it. For this 7th World Congress against the Death Penalty, Ndume Olatushani wanted to present a new painting. For its 4th edition, the "Draw me the Abolition" poster competition organized by ECPM brings together drawings by young people from all over the world. Selected by an international jury, the fifty best posters will be exhibited. During the Network evening, delegates will be asked to vote for their favourite drawings. The three winners will receive the Special People's Choice Award. The exhibition, presented throughout the Congress in the projection room of the Palais d'Egmont, will be accessible during the Network evening.